Well, this is a short post but I’m sure will be very useful. 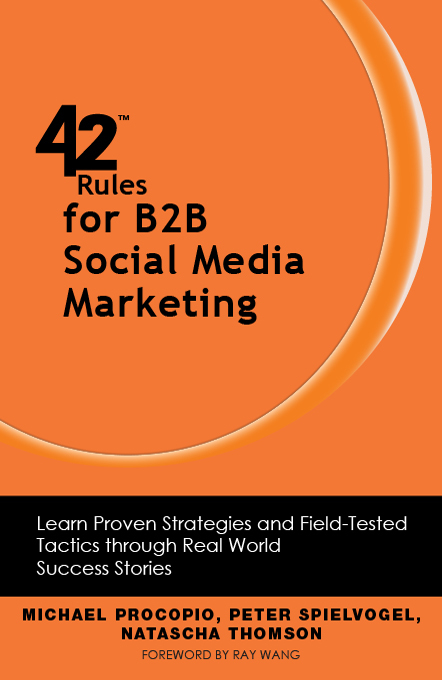 While it is true that even I end not to read ( I am 50 % ) my book “42 Rules for B2B Social Media Marketing“, where my mentor and friend, Natascha Thomson is co-author. I’ve scored some Highlights, which are important to me and I’m sure I’ll have many when I finish the all the book on my tablet, via Kindle. In this first opportunity, I made a compilation of 20 Highlights, in my opinión, very personal by the way, I found them important. ” The Goal is not to drive people to YouTube;it is to find people on YouTube and drive them to your website”. I hope you have been useful, as they were for me, I promise to write a second post when I finish the book. Which cell phone company has the best service?